Square Off is a smart chess board. You move your own pieces, but the 'opponent's' pieces move automatically. Think Wizard’s Chess in Harry Potter, where the pieces magically slide across the board to their designated tiles. Pieces aren’t destroyed when captured, but they are dragged off. Inside the board are mechanised arms and magnets that move the chess pieces, and when playing 'against the board' there are various levels of difficulty to choose from. Alternatively, you can play online via the Bluetooth-connected iOS and Android apps. Square Off is linked to over 21 million users playing on Chess.com, so you should not have problems finding an opponent. Challengers do not need a Square Off board to play against you. 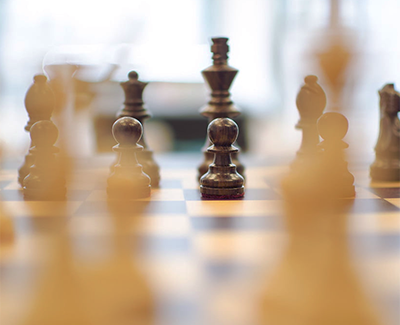 Make your moves on the board, and the board will listen to the remote player’s instructions and move pieces to the desired place, whether they’re using an app or the Chess.com website. 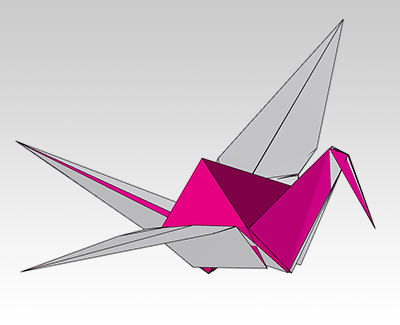 Amanda Ghassaei has built a site that allows you to simulate how an origami crease pattern will fold. Fascinating. Naked Labs's scanner is a full-length mirror lined with 3-D cameras that capture a 360-degree image of your body. There’s also a turntable/weighing scale. Three Intel RealSense 410 series cameras line the left side of the mirror frame, along with a laser pointer and a round indicator light. To obtain a scan, you stand on the turntable which, erm, turns while the cameras scan your body. The scan takes 15 seconds. Crunching the 2 gigabytes of visual data into a 2-megabyte file takes a few minutes. The processed image files are then transferred to remote servers, and then to the Naked Labs app. The scans appear in grayscale, the goal being 'to make the body model as objective as possible'. Your body fat percentage is shown, along with your weight, your lean mass, and your fat mass. You can swipe through different parts of your body and get measurements for your waist, chest, thighs and calves. You can look at comparative charts illustrating the changes to your body over time. Body fat and bone density is calculated using a database of body shapes and DEXA scan data (Dual Energy X-ray Absorptiometry). 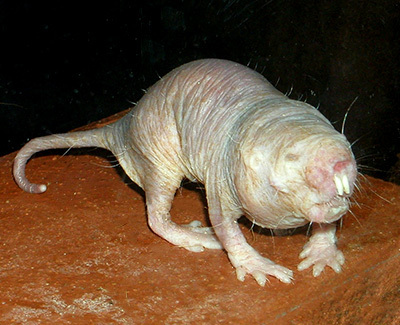 Naked mole-rats are rodents, native to East Africa. — They can survive up to 5 hours in only 5% oxygen. — They can live in 80% carbon dioxide and 20% oxygen. — They lack an insulating layer in their skin. — Their body temperature tracks the ambient temperature. — Their skin does not register pain. — They have a high resistance to cancer. — They live 10-times longer than similar size rodents. — Only one female and up to three males in each colony reproduce. — The other colony members function as workers.